Mike Wallin started his rowing career in 1996 as a freshman at St. Joseph's Prep in Philadelphia. During his time there he won 3 Stotesbury Cups and 3 Scholastic Rowing Association of America National Championships. Mike was also a member of the 1998 USA Jr. National Team where he finished 10th in the world in the men’s 2+. As a senior at St. Joe’s, Mike was named team captain and finished his high school career at the Royal Henley Regatta in England as a quarter finalist in the Princess Elizabeth Cup. Mike went on to attend the University Of California at Berkeley on a rowing scholarship. While at Cal, Mike won 4 straight PAC-10 and Intercollegiate Rowing Association National Championships. He was named team captain in 2003 and also earned two First Team Pac-10 all academic honors during his tenure at Cal. Mike is also the Head Coach of Chicago Rowing Foundation in addition to coaching the DePaul Women’s Varsity team. 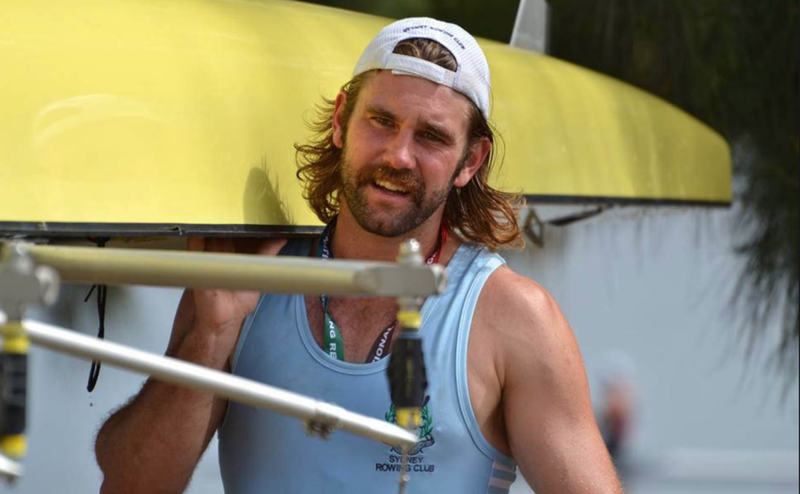 Matt started rowing at Sydney Grammar School in Australia in 2003 and in his final two years in high school Matt competed on the junior national team for Australia in the coxed 4 and pair, placing 5th and 3rd respectively at the junior world championships. Matt was then offered a full scholarship to the University of California, Berkeley and during his 4 years at Cal he raced at 4 Intercollegiate Rowing Association National Championships and earned all Pac-12 academic honors. In addition to coaching the DePaul Men’s Varsity, Matt also coaches Boys Varsity at Chicago Rowing Foundation. Lily started rowing in 2008 with Chicago Rowing Foundation. As a sophomore in the JV8 she went undefeated in the spring season, finishing with a team-wide sweep of the 2010 Midwest Regional Championship, and was awarded Most Improved. Her junior and senior year she qualified for USRowing Junior National Championships in the Varsity 8, and was a team captain as a senior. Lily attended Temple University on a rowing scholarship. She was awarded Most Improved her junior year, and again voted captain her senior year. In 2016 she was a member of the Varsity 8 that finished 3rd in the American Athletic Conference Championships, the highest finish in program history, and recognized as a Second Team All-Conference Champion. Lily also coaches for Recovery on Water, a rowing team for breast cancer patients and survivors.